Just because a mod is for New Vegas, doesn't mean it's compatible with TTW. I'm confused, why does CES need to be converted to TTW? 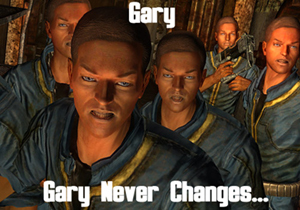 Its a New Vegas mod. Does this allow for some interaction between CES and Quo Vagis or something? No, I don't think so anyway. But damn that would be sooooo cooool to have a mix of characters from both games in a mag or something and have the better interactiveness of CES for Quo Vagis! BTW, I did convert Quo Vagis for TTW 2.9. So It shouldn't be much harder for 3.2. I'll take a look once I eventually move over to the new version.